1. 1 passes to 3 on the entry (5 is flashing at the same time as 3). 2. 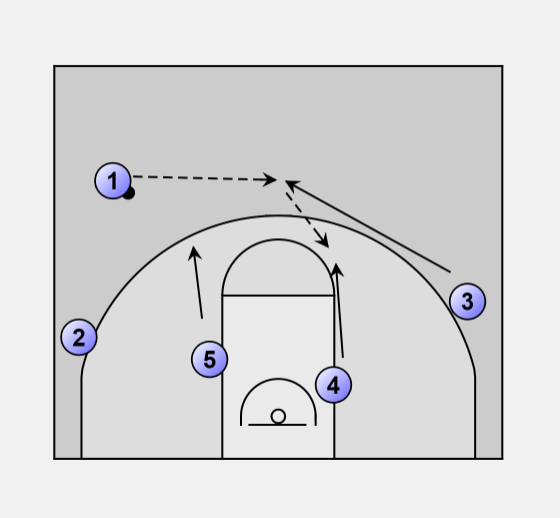 3 passes to 4 who is flashing to the high post. 1. 3 plays a 2 man game with 4 and ends up on the wing if he doesn't get the ball. 2. 1 goes down to the baseline to set up his guy for a screen by 5. 3. 2 goes down and then curls over the top of 1 and 5 going down. 4. 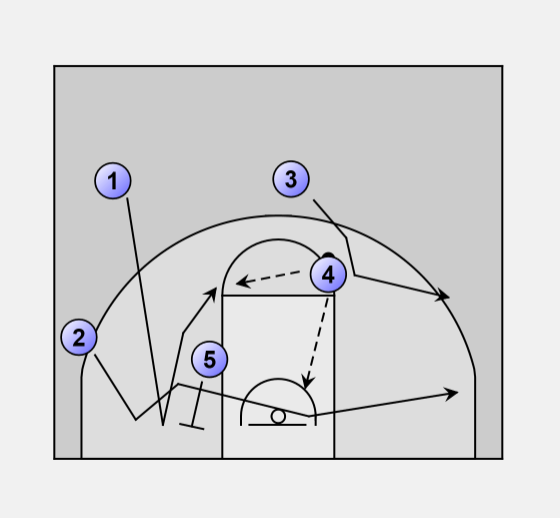 1 then comes back up to the elbow off a screen by 5 and looks for a shot. 1. 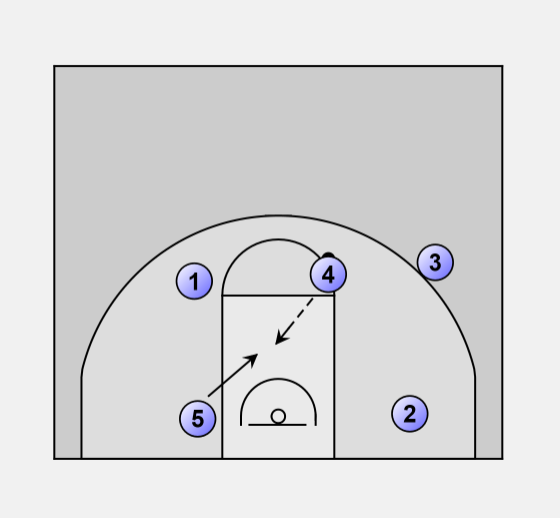 5 flashes to the ball after the screen for 1.